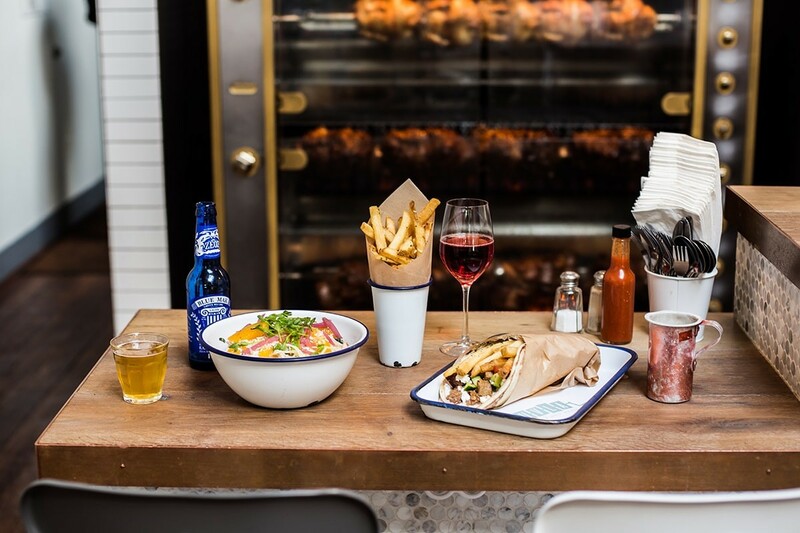 Greek-American founder & CEO Charles Bililies opened the first Souvla in 2014 in Hayes Valley, San Francisco, inspired by the casual souvlaki joints he loves in Greece. 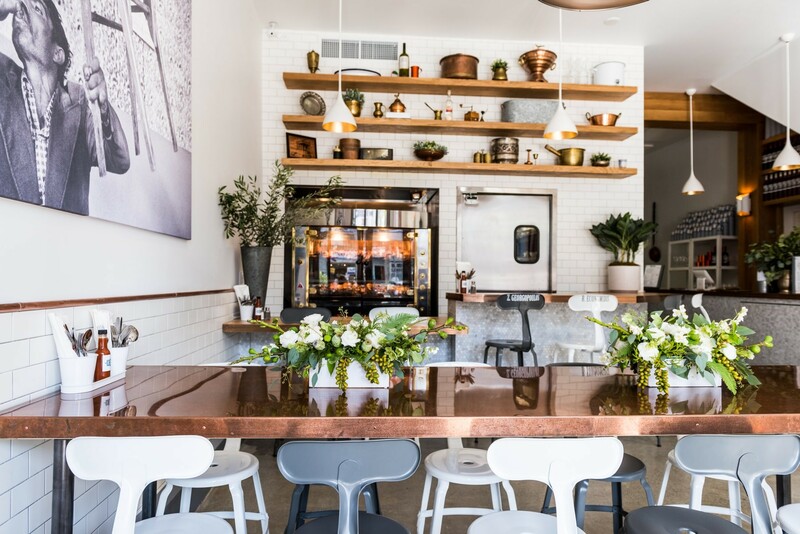 Bililies took his past experience in fine dining—which includes stints with renowned chefs like Thomas Keller and Michael Mina—to form a hip, fine-casual hotspot. 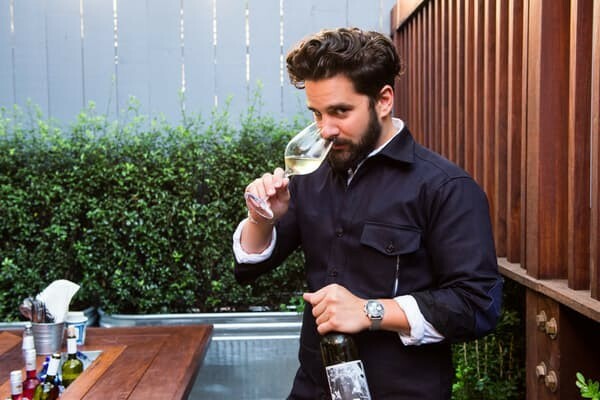 We spoke to Billies at one of his San Francisco locations to get his thoughts on tech in the hospitality industry, the SF versus NYC dining scene, and more. Photo of Charles Bililies, owner of Souvla. Black, regular coffee—preferably the non fancy stuff. I was a paperboy. I was around 11 or 12 years old. What’s the last thing you cooked for yourself at home? My fiancé, Jen, is an incredible cook with a culinary background, so she does most of the cooking at home. But I still retain the “Chef de Breakfast” title on the weekends, which generally consists of whatever is leftover in the fridge combined with some eggs. Lutron controls all the lights in the restaurants, so I can monitor and adjust them remotely through the app. Nest cameras are in all of the restaurants, so I can pull up every angle on my phone to help monitor the floor even if I’m not there. Homebase does all of our time tracking and scheduling. We are now on DropBox for business so everything has been pushed in there. PeachWorks [a restaurant management platform] is a log we're testing out. Proven is used for all of our job stuff. We also have a Square Dashboard—we actually spent a lot of time with Square developing on their behalf. The beautiful interior of Souvla in Nopa. You've put a lot of thought and care in creating a strong brand. What helped you develop it and what was an important focus for you? Souvla was something I was working on for almost 6 years before we actually opened. When I was working for other people, it was always in the back of my of mind. So when it was time to actually do it, I put a lot of energy into every single detail. What's great about Souvla is that there is a true clarity of vision, which really helps guide and define this brand. We're not trying to do too many things and confuse people. The Souvla model of "make it nice and be nice" is a guiding principle, both internally and externally. We’ve started to champion this kind of fine-casual format as a niche in the dining scene. A lot of my fine dining background and experiences blended with the fast-casual format. Souvla is multifunctional: it’s something for lunch where you can just pop in, grab something to-go, or order delivery. If you come back at night, it’s the same menus, same everything else, but the lights are down, the candles on the table, and everyone is drinking wine—it basically turns into a full service restaurant without us really changing anything. We are also very neighborhood driven, and very thoughtful about how we grow and where we end up opening. We really want to be a part of the neighborhood. You're pretty involved in the tech scene, in a tech-forward city. What are your thoughts on how technology and hospitality working together? I think that at Souvla, as an organization, there are a lot of us that are very involved with technology and the tech partners—and we truly view them as partnerships. But because we are in such a minority, there are advantages and disadvantages. One of the advantages is that we have a lot of direct access that so many people do not have. The amount of time we've spent at the Square offices or the people I can call or email to get things done, as opposed to a customer who gets the product and kind of just accepts it. We've never been that group. We are definitely vocal and really push a lot of our tech partners to do better and bring things to market that we want, not as Souvla, but as restaurant operators. Everything we put forth to them is never Souvla specific—it’s speaking on behalf on all restaurant operators. There are certain things that restaurants just need to see. I think the biggest challenge is that there's very rarely someone on the tech side that has the restaurant background to truly understand or empathize with what we're saying. One of the things we’re doing more and more of that’s been helpful is inviting some of these people come in and work at the restaurants for a day, which is really eye-opening. The fine casual dining at Souvla. In the tech industry, there's lots of talk about the difference between the NYC and SF scenes. What are the big differences in the NYC and SF hospitality scenes? I personally love NYC and love the restaurant scene there. I think it's a little bit more established and dare I say sophisticated. I think that NYC has more concept-driven restaurants, which is a far more advantageous way to approach the business. Nobody is dining at Souvla to see me and that was never the intent—we're more brand focused. I think in SF there's a lot of chef driven restaurants—which is great, but what happens when the chef goes elsewhere? I think that both cities admires certain things about the other. While both markets have very similar challenges because they're both incredibly expensive cities to operate in. What do you think are some of the most important factors for a restaurant's survival? I think the big thing is the importance of treating a restaurant like a business. A lot of people get into it for the romantic ideals. For example, if you’re an incredible chef, that’s great, but if that's all you can do and there's no understanding of the business end, that’s not so great. You could be the best chef in the world, but if you don't know how to run a business, that means you just throw great dinner parties. So it’s the importance of not only treating and understanding that the restaurant is a business, but it’s also in the planning stages. It’s really important to write out a business plan. When people approach me asking for help, I’m happy to help them because I was once in that position too. My first question for them is always, “Do you have a business plan?” That’s key and the exercise of coming up with one is incredibly helpful.